Please join the Red Cross on Wednesday, December 10! cope better with whatever challenges they face. After the overwhelming response to this information at our first Lunch & Learn – by teachers, school counselors, Youth & Family Services workers, state emergency personnel, mental health outreach workers … everyone who came – I can honestly say this is info you won’t want to miss. Especially if you work with youth or know anyone who does! Details are below and attached. 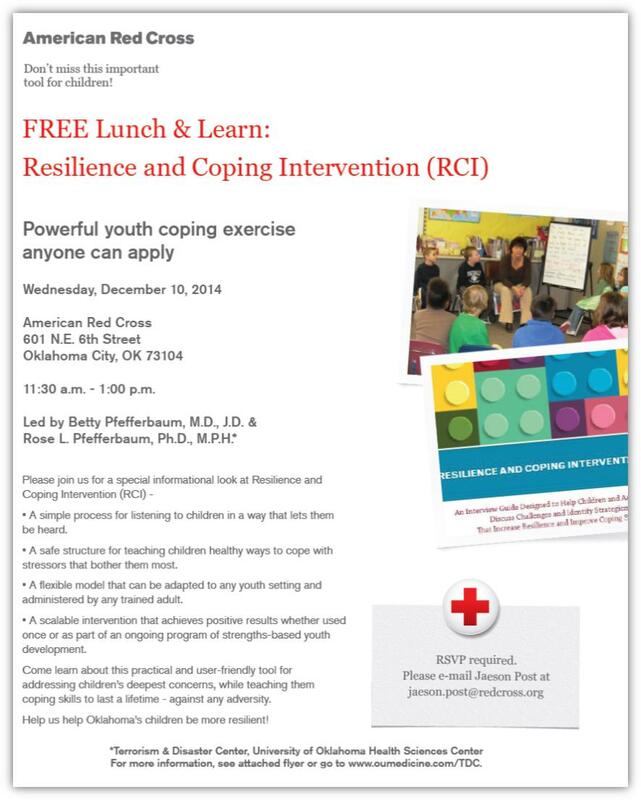 Come be part of the “resiliency revolution” starting for Oklahoma’s youth!